Saturday, 3/17/18 at Family Central 8:30 a.m. – 3:30 p.m.
On Saturday, March 17, 2018, all aspiring and practicing area gardeners are invited to Ashe Family Central (the former Ashe Central High School in Jefferson) to the High Country Seed Swap. 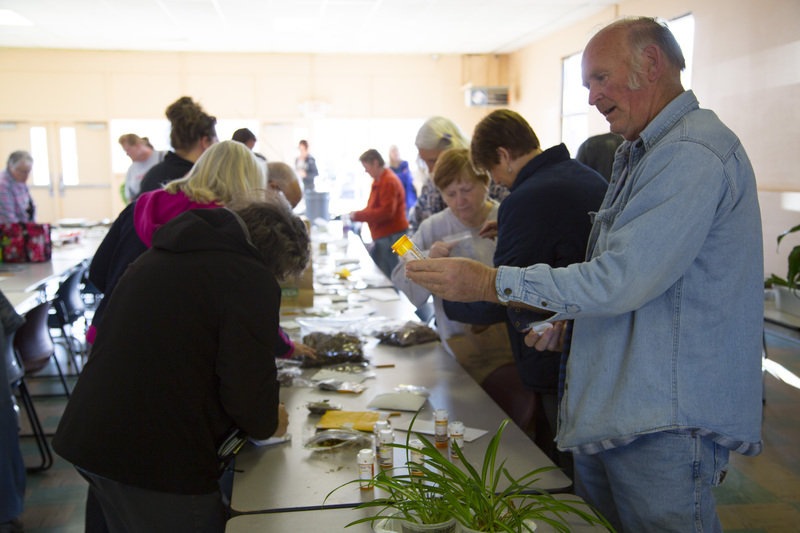 The event features a day-long open exchange of seeds, plus workshops taught by area experts on apple tree grafting, soil health, mushroom production on logs, and managing insects. 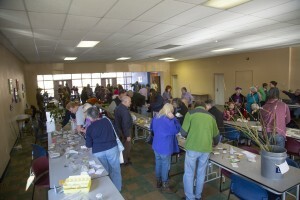 Beginning at 8:30 a.m., gardeners will be able to display their own surplus seeds and view the offerings of others on tables set up in the community space. The seed swap will continue throughout the morning and wind-down in the mid-afternoon. The “El Tacorriendo” food truck will be on-site with refreshments for sale, so people can enjoy several classes and time for seed swapping with a lunch break at their convenience. Gardeners are encouraged to bring any surplus seeds, bulbs, corms, cuttings, plants, and fruit scion wood they can to exchange. Seed swaps operate on the honor principle that gardeners will bring what they can this year, grow what they get from this swap and other sources, then bring saved seeds from their crops to next year’s seed swap. The grafting workshop and fruit-scion-wood exchange will be held from 10:00 a.m. – 12:30 p.m., led by nationally known apple experts Ron & Suzanne Joyner. The grafting workshop taught by the Joyners will be hands-on, with participants able to learn with the actual tools of the trade. Apple rootstocks will be available for purchase at the workshop, so if participants choose, they can graft several trees to then bring home and plant themselves (a flat fee of $10 will allow participants to graft up to three fruit trees). Information about collecting scionwood samples for grafting can be found at their website: http://bighorsecreekfarm.com/collecting-scionwood/ Participants will also be able to choose from a Soil Health 101 class taught by Brian Chatham of High Mountain Farms at 10:00 a.m. Then at 1:00 p.m., the program will offer a choice between a “Shiitake mushroom log inoculation” class taught by Scott Walworth and a “Getting the Best of Bugs” class taught by Ashe Extension Agent Travis Birdsell.